Our cycling-friendly holiday cottages link to excellent cycle routes and paths. The Celtic Cycling Trail is just just over a mile away, an easy downhill ride along a winding country lane to the valley bottom. This links to the Wales Coast Path which runs along Swansea Bay – a city with one of the most beautiful settings in Britain. Our guests join National Route 43 of the Celtic Cycling Trail in the picturesque town of Pontardawe. 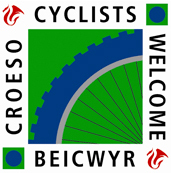 The trail connects all the major towns of South Wales, offering safe cycle access to over 100 visitor attractions including 31 of Wales’ 50 most popular attractions. Picking the right spot for a cycling holiday in Wales is difficult – there are so many options. The unique location of our holiday cottages helps to make things easy – situated on the national cycling network, between the Brecon Beacons and Gower, our guests benefit from easy access to a variety of different rides from one homely base – beaches one day, mountains the next! What’s more, there are rides from your cottage doorstep – relax on the local country lanes or hop onto the Celtic Cycling Trail in Pontardawe. the Swansea Bay Cycling Route – check out the tube map that shows the most direct and flattest route between the local communities suitable for all types of bike. daytrip to nearby sections of the Celtic Cycling Trail such as the high level route from Neath (it’s off-road and peaks at 2000ft) or the circular Carmarthen bike tour (castles and coast with a great downhill into Llanelli). Remember to stop at Wales’ Eden Project, the National Botanic Garden of Wales. The giant greenhouse gives cyclists discounted entry. 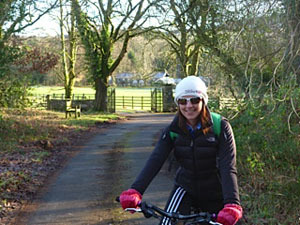 Plan your holiday cycling using the excellent Routes 2 Ride in Wales website. The postcode for our holiday cottages is SA8 3JQ. If you don’t have room to pack the bikes, don’t despair, there are cycle hire outlets readily found in many places along the Celtic Trail, so all you have to remember is where you parked the car! If you have a smartphone, the complete National Cycle Network app is worth a look.